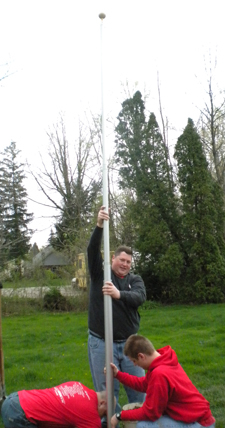 The Elyria Evening Lions Club sells flagpoles with American flags. The poles are aluminum, telescoping poles. Installation is included. DIY prices are also available. 3 X 5 American flag is INCLUDED. Contact Lion Dave at 440-667-9772. For those wishing to reach out to the Leos Club, please contact one of our Lions officers.